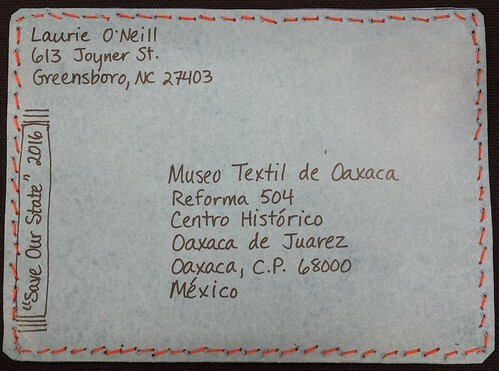 A postcard tapestry for the unjuried exhibition Travelling Tapestry: Textile Mail Art, a collaboration of The Museo Textil de Oaxaca, the Museo de la Filatelia de Oaxaca, and the American Tapestry Alliance. The deadline to mail it by regular postal service mail was today and I made it! 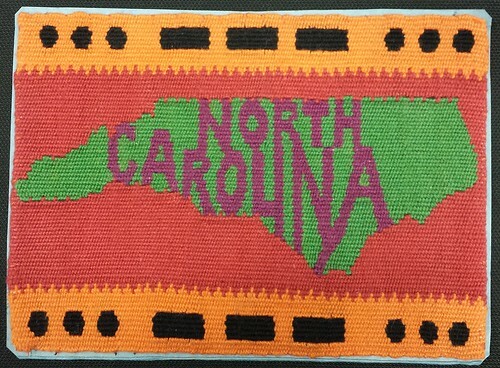 “Save Our State”, 5″ x 7″, cotton.